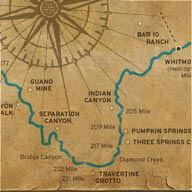 A rafting vacation in Cataract Canyon often entails many questions. What type of boats are used? How does camping on the river work? What is the food like? 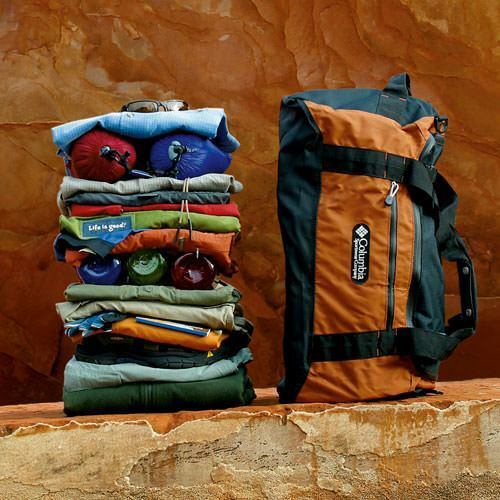 What do I need to bring and what is supplied by Western River Expeditions? You'll find answers to all these questions and many more in the categories below. As we travel down river, we make occasional stops to lead “side hikes” which can be either very short and relatively easy, or longer, covering some distance and elevation. We hike over uneven, rocky, and sometimes steep surfaces. Hiking is encouraged but optional. Our trips are operated in the “backcountry.” At any given time, you will be a minimum of several hours away from medical help. Our guides are all trained in wilderness first aid and some have even higher levels of emergency response training (e.g., EMT); however, sometimes injuries or the aggravation of pre-existing medical conditions are severe enough to require evacuation from the trip. We carry satellite phones but they are not 100 percent reliable in all locations. Most evacuations require transportation via helicopter which presents many challenges such as appropriate landing zones, inclement weather, or darkness. See the Weather page for this trip. We camp and eat lunch on sandy beaches and on areas where the ground is mostly dirt and rocks. You must also be capable of safely walking across slippery, rocky, and sandy areas as you climb on and off the boat and walk along the beach to your personally selected campsite each night. Guests are required to carry their own waterproof bags with personal gear and the additional 15 pounds of camping gear (cots & tents) to their individual campsite. This can be very difficult for some guests due to the uneven terrain, deep sand, and steep beaches. Getting on and off the boats can be challenging. We park the boats against a variety of terrain such as rocks, steep sandy beaches, and flat locations. Boats may also be slippery and they have uneven surfaces. Toilets are available only in camp and are usually located down a narrow trail, well away from the guests in a secluded location. We do our best to mark the trail, even at night, but it is always necessary to take a short hike to access the toilets. The where, when and how of going to the bathroom during the day will be explained by the guides on your trip. Falling off a boat into the river, or having your boat capsize is one of the inherent risks associated with whitewater rafting. If this happens, you will need the ability to self-rescue by swimming to the boat or to shore. If you end up on shore, you will need to traverse a rocky shoreline to rejoin the boat which cannot maneuver upstream. Your guides will make every effort to see that your trip is enjoyable and successful. Gratuities for guides are appropriate, greatly appreciated and at your discretion, as a gesture of thanks for their professionalism and service. A suggested guideline is 10 percent of the trip cost. The common practice is to give the gratuity to the trip leader on the last night. It will later be divided equally with the rest of the crew. Paying in cash is the most common form of payment though you can always bring along a check and make it out to the trip leader. Three trip dates are offered each week from mid-May until late June each year (M-T, W-TH, F-S), along with a couple of early May dates to start the season. The following year’s trip dates are available to book at the end of the current season. We suggest reserving early, to guarantee date of choice. 14 is the maximum number of guests on a trip. Each custom Snout Rig raft comfortably seats 7 guests + 1 guide. For most trips, two Snout Rigs travel together. The best way to charter a private trip is to reserve all 14 seats for the date of choice. Requests for custom dates are evaluated individually by Operations and require consideration of date and number of guests, etc. Dates prior to or just following our regular season offerings are easiest to accommodate. For smaller groups, a fixed charter price may be offered. A group leader, who puts together a group of 14 total guests receives 1 free fare. After a reservation is made, we can email the guest a direct booking link to his/her trip, which can be shared with others. We also offer a courtesy hold option, which allows the guest to request a specific number of available seats to be held for designated time period (automatically 48 hours) to allow others to then call in to join the trip. Cataract Canyon trips have no single supplements for solo travelers. The dedicated group of guests on each trip travel through the canyon together, rafting, hiking, camping, and enjoying meals together. A multi-day rafting trip offers a wonderful group travel environment. For all Cataract 2-Day Express trips, guests must be age 12+ at time of travel. There are no exceptions to this age limit. Youth should weigh no less than 75 lbs. There is no maximum age limit, but older guests will want to consider the physical nature of a wilderness river trip. A big ‘Western style” breakfast begins day two with a variety of items, including breakfast meat, french toast, fruit, etc. Chicken salad and build-your-own sandwiches, including peanut butter and jelly are lunch offerings. Fruit, chips, and cookies are also served at lunch. Dinner includes steak, side dishes, along with an appetizers and dessert. We are happy to email the menu to guests who have questions about food served on the trip. For guests as young as age 5, our Southwest Sampler and Green River trips in Moab, Utah are excellent choices. 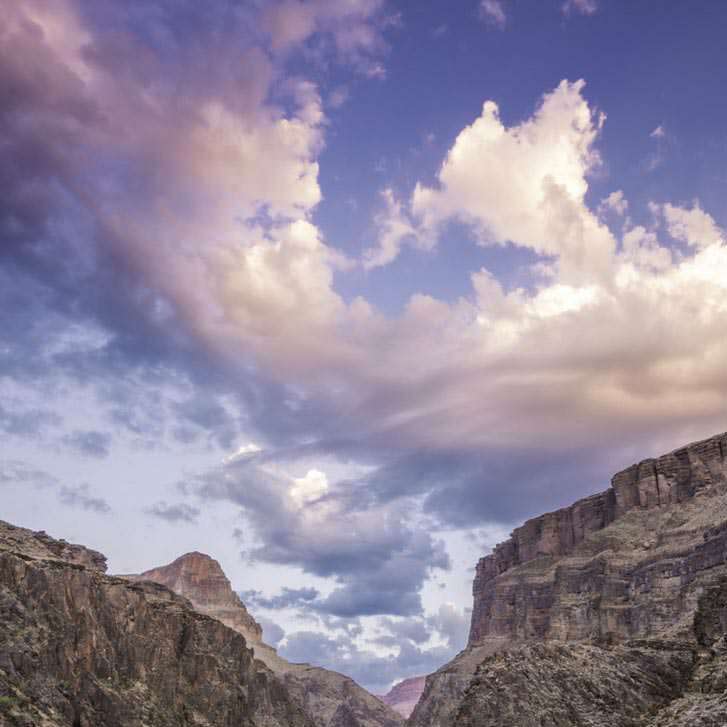 For guests who are at least age 9, our Grand Canyon 3 & 4-Day trips are age appropriate. 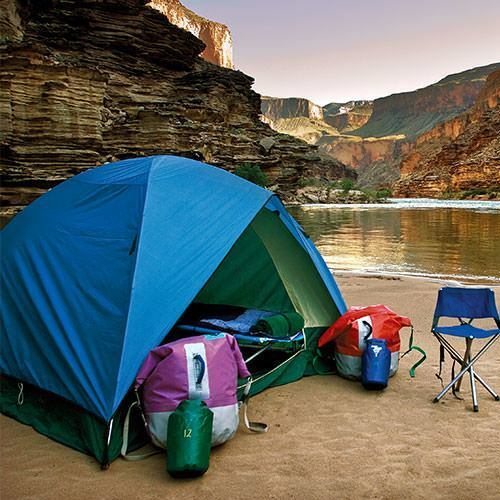 Our Cataract Canyon 4-Day in July - Aug accommodates guests as young as age 10. Guests should bring clothing items, toiletries, a refillable water bottle, and headlamp or flashlight in a soft-sided duffel bag, weighing 20 lbs or less. Weather and water temperatures will vary throughout the season, so being prepared for a variety of conditions is important. It is better to take something and not use it, than not have it and need it. Carefully following our packing list will assure that guests will be prepared. We recommend a two-piece rain suit that can be used as needed. A wetsuit is cumbersome to take on and off when rafting. In Cataract Canyon, water temperatures are cold early season and will continue to warm as the season progresses. This extra layer protects against cold water and because weather conditions vary, even in warm summer months we have had guests grateful they had the extra layer to put on during inclement weather. Can I bring my own lifejacket or PFD on the rafting trip? Though not particularly notable, fishing through Cataract Canyon is allowed and requires a Utah State fishing license. Fishing must be from shore while in camp, and is catch and release. Guests should be dressed, ready to raft! Meeting place is our Moab Adventure Center, 225 S Main. Swimsuit (or sports bra and quick dry underwear for women) under quick dry shirt and shorts, water shoes or sandals, then brimmed hat and sunglasses with retention device. Don’t forget a water bottle with carabiner, sunscreen and lip balm to go in the day bag. Cataract Canyon is located in beautiful Canyonlands Natl Park. The combination of sun and water demands adequate skin protection from sunburn. Plan to bring a plentiful supply of sunscreen, and 15+SPF lip balm to be reapplied throughout the day. A brimmed sun hat or baseball cap should have a retention device. Clothing items to consider include quick-dry long-sleeved shirts and long pants for additional coverage. Sarongs or bandanas (dipped in the river) provide sun protection and evaporative cooling effects. Plan to drink lots of fluids to keep hydrated. Can I bring a camera on the river? What about charging it? Each guest is given a personal day bag (approx. 7”x13”) and water resistant gear bag. Items for day use should be put in the day bag, which is then rolled down and the straps clipped to keep contents dry. The gear bag accommodates a sleeping bag (we provide) along with the guest’s personal duffel bag (which should be no larger that 12”x13”x 24”). The gear bag is then rolled and clipped, and secured away on the raft during the day, available in camp late afternoon. We provide all camping equipment (tents, cots, sleeping bags with sheets, camp chairs) for our guests to set up their personal campsite. We also provide a large gear bag (that carries the sleeping bag and duffel bag together and is inaccessible during the day) and a small day bag for items guests would like access to during the day (lip balm, sunscreen, camera, rain suit, etc). Plates and eating utensils are provided for meals. For guests staying at SpringHill Suites, complimentary parking and storage of 2 bags per room (if needed or for heat sensitive items) are provided. Additional bags may be stored for $10. per bag per day. For guests staying elsewhere prior to the trip, SpringHill Suites offers to store each bag for $10. per bag per day. Parking is complimentary. Guests should bring an adequate supply of all necessary medications. They will be accessible during the day when stored in a day bag or if needed, in cold storage on the raft. A list of medications should be provided to us, along with any related medical conditions. Keep in mind that Cataract Canyon is a remote section of the Colorado River, and emergency medical attention may be hours away. After a good night’s sleep (on a comfortable cot, under the stars or in a tent) day begins with an early coffee/hot chocolate call, with breakfast to follow about 30 min. later. During this time, guests will also be getting dressed and ready for the day and disassembling their campsites. All equipment and gear is then repacked on the rafts, and we’re off for a day of adventure! How much time is spent on the raft? Each day is a combination of rafting, hiking, free time and delicious meals. Guests are generally on the rafts an hour to an hour and a half at a time. There are bathroom breaks along the way. Depending on time of year, weather, and guide itinerary, each trip will vary. Guides determine what hikes are offered and which campsites will be used. Generally, guests would expect to be enjoying these activities for about 6-7 hours per day. Learn more about Western's "Snout Rig"
Western’s motorized Snout Rigs offer both speed and comfort traveling through Cataract Canyon. Each raft comfortably seats 7 guests. Front seating offers the most adventurous ride, with more protected seating further back. Calm water stretches allow guests to move about and trade places as desired. Because the water feeding into the Colorado River through Cataract Canyon is primarily melted snow from winter’s Colorado River basin snowpack, the earliest trips will likely have water temperatures in the 55 degree range (guests are grateful for their two-piece rainsuits!) As the season progresses, both the sun and warmer air temperatures affect the water temperatures, which may reach 70 degrees or above. Depending on water temperatures, guests can float along or swim near the rafts in calm water sections of the river. Some hikes may include waterfalls and pools of water to enjoy off the river. Because our trips operate in remote, backcountry settings, there are no permanent bathroom facilities. We use portable toilets that we haul with us. We’ve prepared a video describing toilet facilities on the river. Watch the video and then call us if you have more questions. The portable toilets described in the video are available shortly after we set up camp late afternoon until we leave camp the next morning. During the day, the guides will make frequent stops at which you can go to the bathroom if needed. During the day, urination is done into the main river channel, but if you need to do more than this, just ask your guide and he/she will introduce you to our daytime toilet system. Once you are on the river, there is no way for you to be contacted. Messages left for you on your personal cell phone will be the best way for friends and family to reach you, once you have cell service again. While satellite phones can be rented, service may be limited and reception poor. There is no way to exit the canyon if a subsequent conversation relays concerning news from home. Mandated by Canyonlands Natl Park Service, evacuations are only for serious on-river medical emergencies. A multi-day river trip is a wonderful setting for relaxation and time away from electronics. Prior to reaching the first camp and while on the river, guides will give a camp orientation. Late afternoon, they pull into camp and guests choose a personal campsite area, relative to the bathroom and kitchen areas which will be set up by the guides. Guests are then called back to the rafts to help unload gear and some supplies via a fireline. Guides give a tent and cot set up demonstration, then guests take their personal gear bags and other gear to their chosen campsite and get set up. While the guides prepare first appetizers and then dinner, guests may clean up for the day, rest and relax, explore the immediate camp, and visit with other guests. Dinner is served about 30 minutes after appetizers. If time permits, guides may have games or activities available. Most guests go to bed not long after the sun goes down, ready to recharge from a busy day of rafting and exploring. Coffee/hot chocolate call comes at dawn, with breakfast about 30 minutes later. During this time, guests will be getting ready for the day, disassembling their personal campsite, and taking gear back down to the rafts to be loaded in a reverse fire line. Portable toilets and handwash stations are first items set up in camp and taken down the following morning by the guides. Guests will be asked to use the handwash station and hand sanitizer after bathroom visits in camp and before all meals. Even though our river trips are in wilderness settings, personal hygiene is a top priority and helps keep guests healthy and able to participate. Departure from camp is usually about 7:30 - 8:00 AM. See the Camping Page for this trip. All guests receive a sleeping bag with fresh sheets, a cot, and camp chair for use in camp. Additionally, tents are available that accommodate two cots and gear with a walkway in the middle. Solo travelers have private tents. Many guests choose to sleep under the stars on their cots and set up a tent for privacy while changing, store gear, or in case of rain. Be sure to keep gear bags inside the tent, and possibly supplement with a heavy rock in each corner of the tent in case of wind. Tents sit on top of the sandy campsites and are not designed with stakes that would be pounded into the ground for stability. Tents and cots will be loaded back on the rafts on Day 2 with all the other gear. Additionally, guests with this type of CPAP must be able to carry the 40 pound battery and the machine off the boat and across the beach to their campsite with their regular gear. This can often be up to 100 yards across moderately difficult terrain. How do I bathe while on the river? What about personal hygiene? Brushing teeth: Always use clean drinking water for brushing teeth, which is always available on and off the rafts. Toothpaste spit goes right into the river. We recommend that you bring and use a good mosquito repellent. The kind containing deet works best. Mosquitoes are not much of a problem in Cataract Canyon, but they can be present on the first day of the trip. As we travel farther downstream they completely disappear. In high water years, they are more prevalent but in lower water years, they may not show up at all. The best plan is to be prepared for them. Because weather can be unpredictable, we recommend guests be prepared for both warmer and cooler weather conditions that may occur on the same trip. Check area weather conditions prior to the travel date, but realize that weather may vary in the canyon from Moab or wherever the weather readings were taken. Lunch and dinner will be served Day 1, with breakfast and lunch served on Day 2. Delicious and plentiful! Fresh fruits and vegetable, meats, whole-grain breads, and desserts are presented in mouth-watering array. A hearty breakfast fuels guests for the second day’s start and a dutch oven dessert gives a sweet finish to day’s end. Snacks are offered between meals periodically throughout the trip. Western supplies cold water and low-calorie lemonade, available both on and off the rafts. Guests are encouraged to drink plenty of liquids to stay well hydrated, and can fill personal water bottles as desired. Filling a water bottle with smaller amounts more frequently gives guests a cold drink every time, and discourages wasting precious water that has been left to warm up. If additional beverages are desired (soda, beer, other alcoholic beverages), guests may bring up to 6 cans or the equivalent thereof. Containers should be unbreakable. They will be kept cold and accessible on the raft. Because the Colorado River through Cataract Canyon is not regulated by a dam, water levels are faster and higher during early season spring runoff. Faster water and smaller, motorized Snout Rigs facilitate these 100 mile 2-Day trips. Water temperatures will increase from May to late June as air temperatures warm. Typically, peak runoff occurs between late May and the latter part of June, so all trip dates offered are designed to give guests a big rafting experience in a short 2-Day time period. Driving directly to Moab, UT or flying into Grand Junction, CO (GJT) or Salt Lake City, UT (SLC) and then renting a car or catching a shuttle make getting to Moab easy. Marriott SpringHill Suites Moab (where we meet our guests the morning of the trip) offers plenty of free parking for vehicles. Also, flights into Moab (CNY) are available through Skywest (dba United) from Denver International (DEN). We provide transportation from the Marriott SpringHill Suites Moab to the river and back at the trip’s end. On Day 1, a 30 minute bus ride delivers guests to the trip start along the banks of the Colorado River just outside of Moab, where guides and rafts will be waiting. A return ground shuttle delivers guests back to Moab by or before 4:00 PM on Day 2. What do I do with my car keys? Pack car keys in a zippered pocket in your duffel bag. Alternately, they may be left at the hotel desk or with stored luggage while you are away.